2018 would have been The King of Pop’s 60th birthday, and a year of celebration is planned for “The Greatest Entertainer of All Time”. 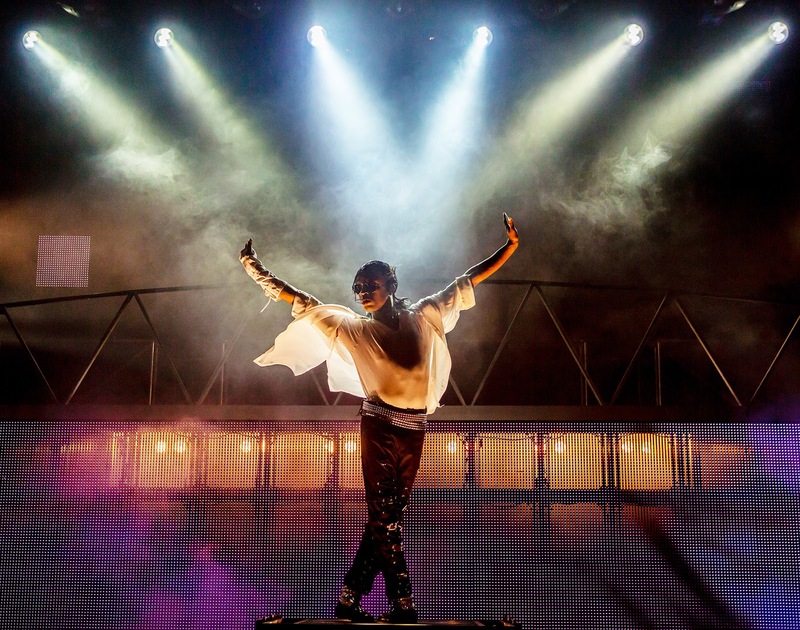 Thriller Live, the concert spectacular at London’s Lyric Theatre, which showcases his unforgettable music and dazzling choreography will see its record-breaking West End run enter its 10th year. And on February 15, the show will smash yet another West End record by becoming the 14th Longest Running Musical in History. Thriller Live also holds the record as the eighth longest running show currently playing in the West End. Yet more celebrations are planned for the 4,000th West End performance later in the year. A second Thriller Live company is touring the UK and Europe until July. The art world will join in the celebrations with "Michael Jackson: On the Wall"
generations of artists across all media. The cast of Thriller Live will also be keeping his musical memory alive by performing on some major primetime shows on BBC1 and ITV - watch for updates. Thriller Live recently announced a new West End booking period to 30 September, 2018. The art world will join in the celebrations with Michael Jackson: On the Wall, at the National Portrait Gallery from 28 June - 31 October. This landmark exhibition brings together the works of over 40 artists, drawn from public and private collections around the world, including new works made especially for the exhibition. It will explore the influence of Michael Jackson on some of the leading names in contemporary art, spanning several generations of artists across all media. Thriller Live is unlike other West End musicals. There is no script or story, it is instead a eye-popping celebration of Michael Jackson’s music and dance legacy, bringing to life on stage his distinctive high-energy dancing and the pulsating sound of many of pop’s greatest hits. The show changes each year with new numbers added, and features specially created video footage and effects and dazzling choreography by the show’s award-winning director, Gary Lloyd. Thriller Live first Moonwalked into the Lyric Theatre on Shaftesbury Avenue in 2009 and it holds the record as the longest ever run of a show since the theatre started entertaining the capital in December 1888. Thriller Live has now been seen by 4,483,254 milion people in 33 countries and played over 5,929 performances worldwide, never failing to get a standing ovation! Farmery; Guitar 1 Damien Cooper; Bass Oliver Latka; Drums Mike Bradley; Percussion Accy Yeats. Director and Choreographer Gary Lloyd, Original concept and Executive Director Adrian Grant, Musical Supervisor and Head Arranger John Maher, Set Designer Jonathan Park, Lighting Designer Nigel Catmur, Associate Lighting Designer Matt Lee, Video Content Designer Colin Rozee and Potion Pictures ,Costume Stylists and Supervisors Shooting Flowers, Sound Designer Chris Whybrow, Casting Director Debbie O’Brien, Associate Choreographer Jo Dyce, Media Programmer Sam MacLaren. Paul Walden and Derek Nicol for Flying Music in association with Adrian Grant for Key Concerts. Thriller Live was originally conceived and created by Adrian Grant, a long time associate of Michael Jackson. Thriller Live recently completed its second residency in the People’s Republic of China, where in 2016 it was honoured to be chosen as the opening production at a brand new state-of-the-art 1,200-seat theatre at the new Parisian Hotel Macau.